Okay, so we’ve seen buildings embedded with QR codes that tell you about the occupants; and read about why QR codes might soon replace business cards. So why shouldn’t we also be able to have our QR codes, and eat them too? 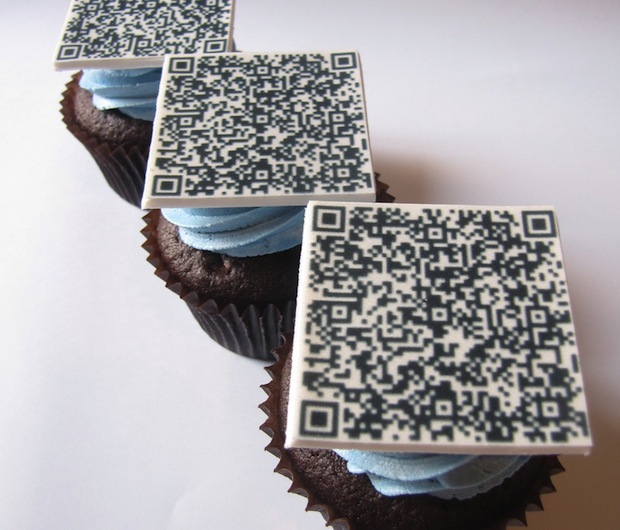 Clevercupcakes, a bakery based in Montreal, have created what looks like the world’s first cupcake embedded with a working, edible QR code. If you take a picture of it on your smartphone (and have a scanning app installed), you’ll end up at the website of the Montreal Science Center Website. But you can image all kinds of clever applications of this sort of thing on food. For example: Why not cupcakes with a QR code that takes you to the recipe? Or that points you to all sorts of things, such as the closed bar for washing down your treat? 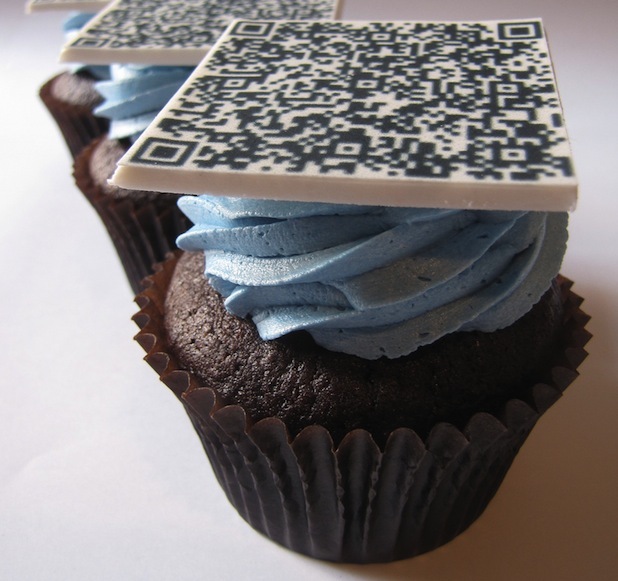 Speaking of which, how do you make a QR cupcake? !